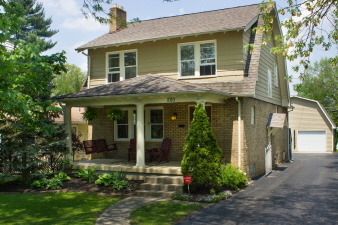 Meticulously maintained Clintonville home with many updates! HUGE oversized 2 car garage (garage also insulated), extensive paver patio professionally designed/installed, beautiful hardwood floors and woodwork, fenced yard, 1st floor half bath, spacious bedrooms. Low maintenance Rhino-shield professionally applied to exterior of garage. Partially finished basement with large laundry room. Exceptional location – walk to farmers market! Seller is licensed real estate agent in the state of Ohio.